The Frau Maria, a Dutch ship which was transporting paintings, acquired by Catherine II (the Great) for the Hermitage, sank 245 years ago off the coast of modern-day Finland. 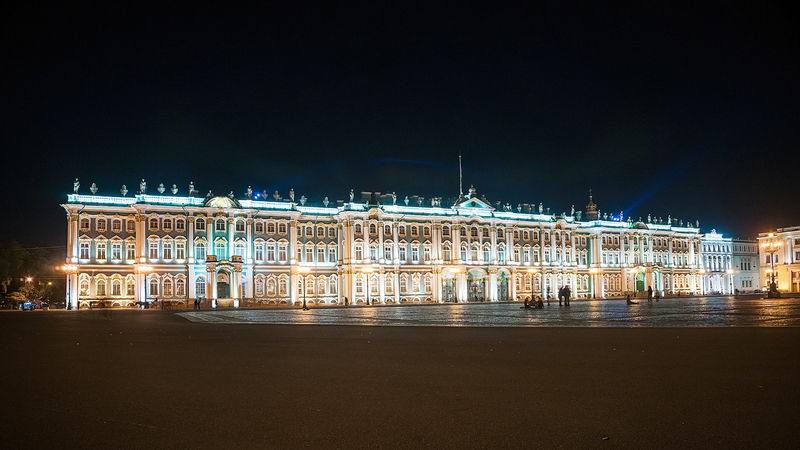 Photo: The Hermitage Museum. Finland and Russia cannot agree on the ownership of a 1.5 billion-euro art collection that went down on a stricken vessel in the Baltic Sea in the mid-18th century. Priceless art treasures bound for St. Petersburg that were lost aboard a vessel that sank in the Baltic Sea in the mid-18th century may never be recovered due to a dispute between Russia and Finland as to whom is the rightful owner. The Frau Maria (Vrouw Maria), a Dutch ship which, among other cargo, was transporting paintings from the collection of merchant Gerrit Braamkamp, acquired by Catherine II (the Great) for the Hermitage in what was then the Russian capital, sank 245 years ago off the coast of modern-day Finland. Since 1999, when Finnish divers found the wreck of the vessel, a Dutch two-masted fluyt, near the Aland Islands between Finland and Sweden, Russia and Finland have been disputing the ownership of the treasures, which may still be on the seabed. According to the vessel’s logbook, which is kept in the archives of the Finnish city of Turku, the ship embarked on its last voyage from Amsterdam to St. Petersburg on Sept. 5, 1771. She was carrying a diverse cargo ranging from sugar to garments and luxuries, as well as 27 paintings by Dutch masters of the 17th century, including Gerard ter Borch, Adriaen van de Velde and Gerrit Dou. These paintings had been bought at auction in Amsterdam on the personal instructions of the tsarina by the Russian ambassador to the Netherlands, Prince Golitsyn. Originally, the fluyt was expected to move more northward across the Baltic Sea to avoid sailing in the dangerous coastal Finnish waters with their rocky bottoms, but went off course and crashed into rocks. The logbook said that the ship became uncontrollable in a storm, when the whole crew had gathered together for prayer. The crew evacuated in lifeboats to one of the nearby islands. On Oct. 7, the sailors approached the sinking fluyt in boats and took the part of the cargo that they could reach. "We found that the upper deck was half under water. We saved all we could," the logbook said. The next day, the salvation of the cargo had to be stopped because of the deteriorating weather conditions, and after inspecting the site of the wreck on Oct. 9, the crew had to admit the loss of the ship. The fate of the ship was subsequently forgotten and it was not until the 1970s that Swedish historian Christian Ahlström found information about the Frau Maria in the Finnish archives. In the summer of 1999, a Finnish expedition under the command of Rauno Koivusaari discovered the shipwreck 7 miles (11 km) from the island of Jurmo in the Archipelago Sea. The researchers found that the cargo had not been damaged during the ship's crash. According to European experts, the total value of the paintings on the Frau Maria could total up to €1.5 billion. Recovery plans started to emerge almost immediately, proposed by both Russian and Swedish businessmen, but, simultaneously the tricky question arose about the ownership of the ship with the cargo. As it turned out, the contents of the Frau Maria can be claimed by four states – the Netherlands as the country that owned the sailboat, Sweden as the country to whose territory the Archipelago Sea's islands belonged in the 18th century, Russia as the country for which the cargo was destined, and Finland, which owns the Archipelago Sea's islands today. Finnish law specifies that if a ship and its cargo remain in the territorial waters of Finland for 100 years, the country becomes their sole legal owner. This term will expire in December 2017, when the Nordic country celebrates the centenary of its independence. The Russian authorities originally tried to rescue the paintings back in the 18th century. Once the news about the disaster reached St. Petersburg, the government immediately appealed to Sweden with a request to take the situation under special control. Chancellor Nikita Panin wrote to his Swedish counterpart, Ulrik Scheffer, that "on board are several boxes of valuable paintings belonging to Her Imperial Majesty." Attempts to save the ship, suspended in the winter because of the ice conditions, were renewed in spring 1772, but the technology of the time did not allow for the vessel to be recovered. Following the discovery of the wreckage in 1999, the question arose again, and Russian specialists began to propose joint research to the Finns. Negotiations were held from 2008 onward, but in spring 2011 Finland officially announced that it was rejecting plans to raise the ship. Russian experts on underwater archeology are certain that the only obstacle to recovery is a legal issue related to Finnish law, and the position of Finland based on this. Rear Admiral Konstantin Shopotov, head of Baltic Memory – Russia's only underwater archeology expedition – and a member of the cultural heritage protection agency Rosokhrankultura's commission on the Frau Maria, believes that the recovery of the fluyt and its cargo would not have caused much difficulty for specialists in the absence of legal obstacles. "To raise the Frau Maria is not difficult, it is located at a shallow depth; furthermore, the waters of the Baltic Sea are cold, they have no shipworms and other pests, so we can talk about the good preservation of wood," he said. "It is clear that the valuable cargo on the ship could have been partially or totally plundered over more than 200 years; for example, the tulips and silver that were directly on the deck, are missing, but if the paintings are still there, they are packed in tubes, and we can assume their complete safety." The fluyt itself, according to the estimate of the specialist in underwater archeology, has no particular scientific and historical value. This text has been published in an abbreviated form. First published in Russian by TASS.